What's all the hype about the Daikaya restaurant? I decided to find out on my own. 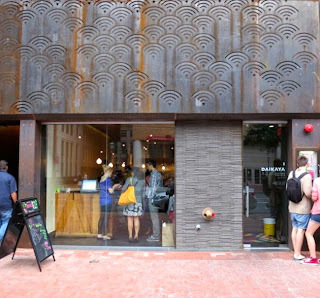 The culmination of a 3-way partnership between Daisuke Utagawa, the co-owner of Sushiko; Yama Jewayni; and Chef Katsuya Fukushima, their dreams were realized when they found a two-story building right next to Graffiato in Chinatown. 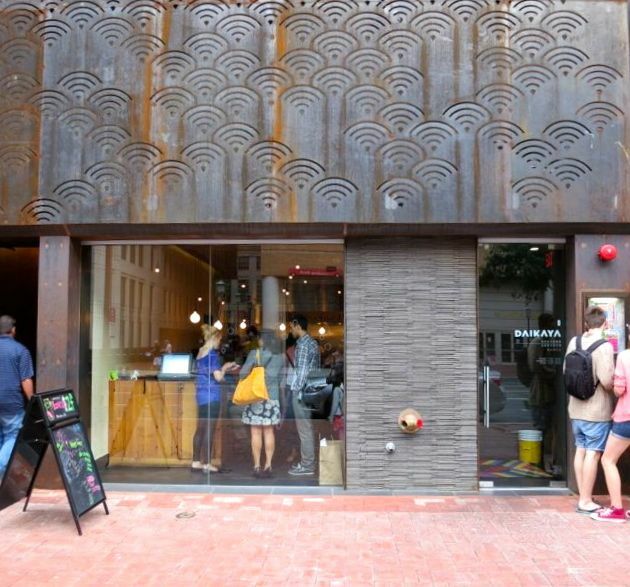 On the first floor they opened their ramen shop and on the second floor their izakaya or Japanese tavern. Two totally different concepts, but both bearing vegan options. Although I was super tempted to try the vegan ramen, I wanted to meet an old friend for a leisurely dinner so it seemed like the izakaya was the way to go. Outside, there is a very cool steel structure going up the front of the building that is rusted in such a way that I'm pretty sure it was rusted intentionally. As I entered, I was greeted by a colorful rug with a smiling Japanese cat. Well, hello! Upstairs was a beautiful eclectic, laid-back restaurant. The bar was backlit with red lights illuminating the liquor bottles while pairs of unusual lamps hung above the bar. 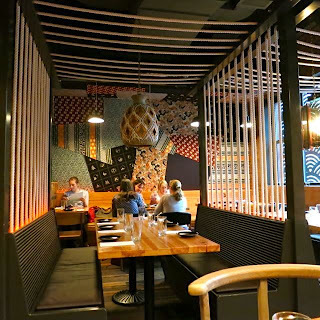 There were booths with ropes strung around them for privacy and Japanese paper lined the walls. As soon as I sat down, my server insisted that I get a drink and small plate in under the happy hour menu before it closed. That sounded like a great idea! 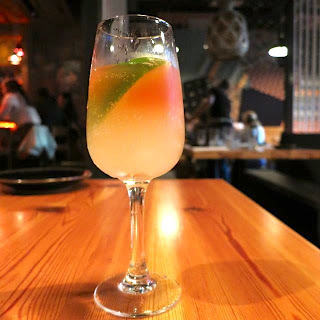 So I started with the Sesame Street cocktail made with Beniotome sesame shochu, Fever Tree ginger beer, yuzu and angostara bitters. I loved it. My friend arrived and we began looking at the menu. They brought me a separate vegetarian menu that listed how items could be modified to be vegetarian, but still nothing was indicated as vegan or not. In the end, there are just a handful of dishes that are or could be made vegan, but that was enough for me. 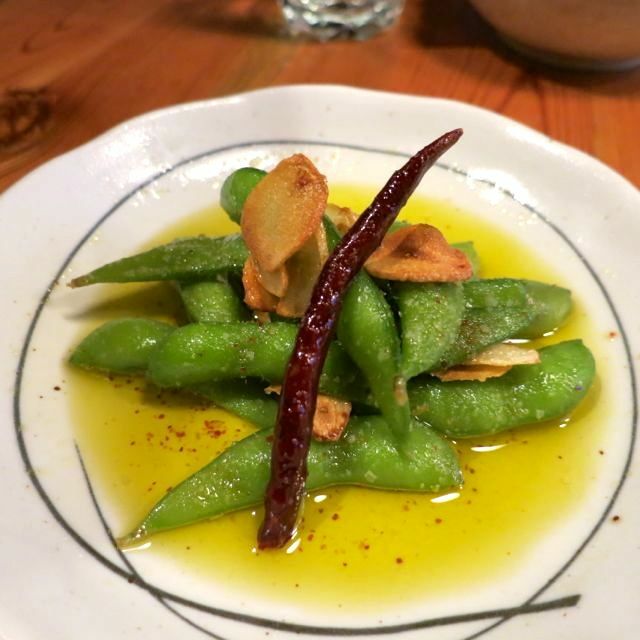 We started with the edamame, which is probably the best edamame I've ever had. It was served in extra virgin olive oil and lemon with crispy garlic and a pepper on top. The crispy garlic really made this dish. Next, upon recommendation from my server, I tried the trio of pickled vegetables. 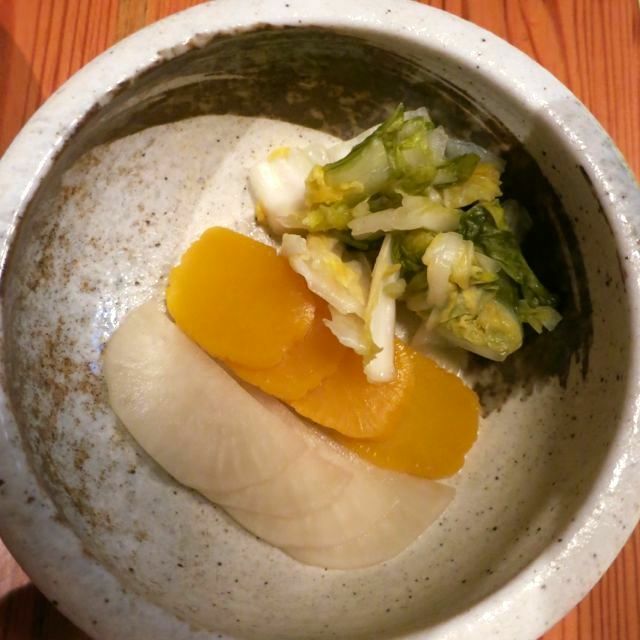 The first was napa cabbage, which was a typical pickled cabbage. Then there was the housemade nukazuke, which is daikon radish fermented in rice bran -- very unusual. But, even more unusual was the Takuan flown in from Japan, which is fermented for several years. I liked it if for no other reason than it was different. I was advised that the eggplant dish had honey and couldn't be made vegan. So I went with the grilled avocado. 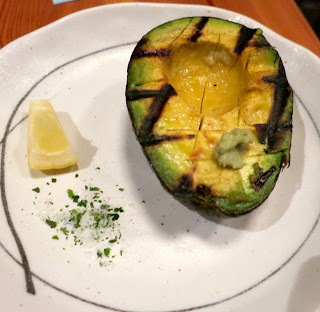 I think this was my first time getting grilled avocado and it was great. 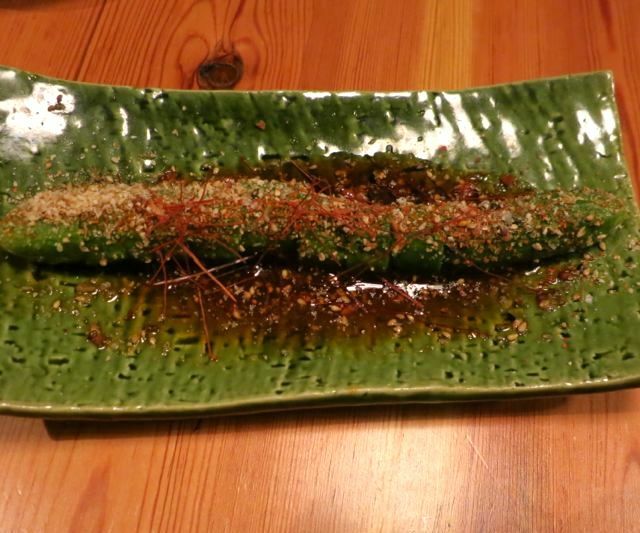 It was served with coarse sea salt and wasabi. I tried the Zucchini as well. 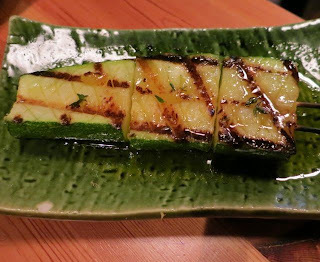 This was grilled zucchini with lemon and thyme -- a simply good dish. Then, I had the Cucumber Salad. This was a small cucumber with rayu vinaigrette, crispy garli, ground sesame seeds, and chili threads. It was good, but not as good as all the others. 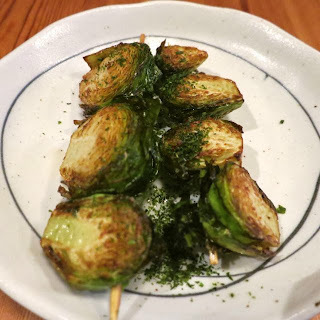 Together, we tried the Brussels sprouts skewer without the mayo. This was fine, but a bit dry. It needed a vegan mayo instead. 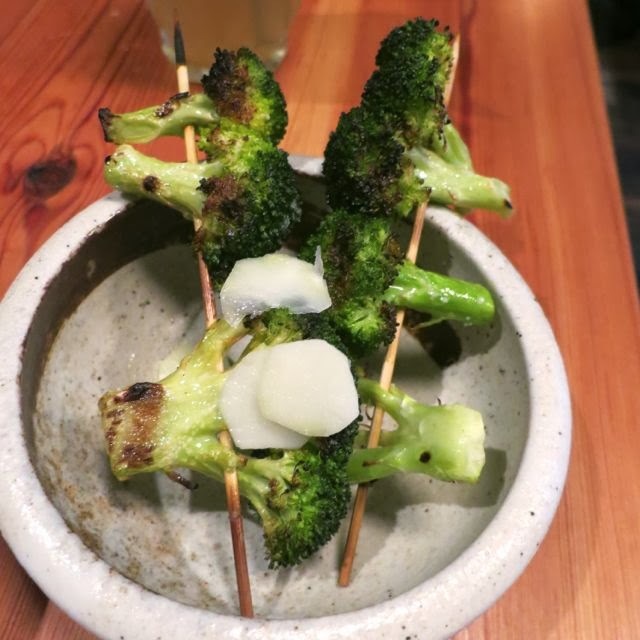 There was also a broccoli special, which was cooked with garlic and was pretty salty. I also tried the Empress of Stockholm drink. I found all of the drinks to be very good. All in all, we loved the atmosphere at Daikaya and will be sure to come back soon. The food was pretty good and I'm hoping they'll add more vegan options in the future. For now, it is worth trying what they have. I should also mention that our server was very knowledgeable and attentive. 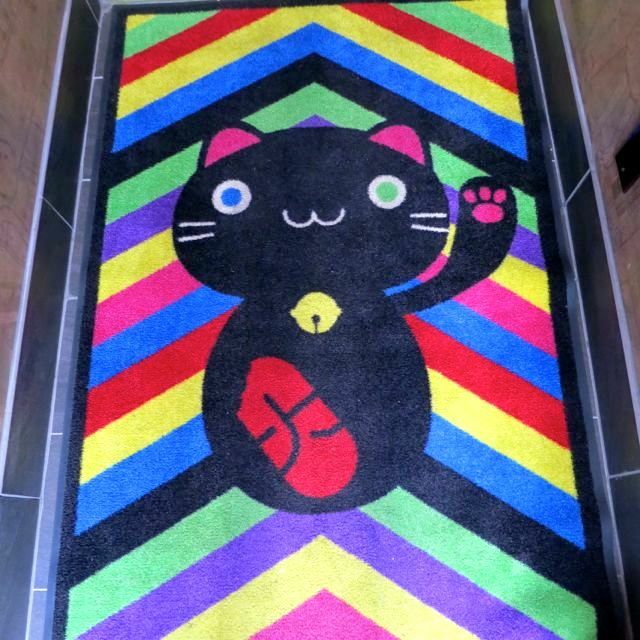 Next stop, the ramen shop!